Welcome to Slater Transfer & Storage! We are a premier Nevada moving company with the highest levels of customer service based out of North Las Vegas. Our team will make sure your local or long-distance move is handled quickly, professionally and carefully. We invite you to look over our website to see all we have to offer, and send us a quote request so that we can customize your moving experience. Customer care and satisfaction are our movers’ primary goals. We make it our top priority to deliver efficient, worry-free moving services in Nevada at a very competitive price. Each move is planned and coordinated according to each individual’s needs. For over 40 years, our clients have been entrusting us to transport their belongings safely. Our trained, licensed and insured movers are what make that possible for each and every move. They are why we have developed a reputation for high-quality service in our industry. Look forward to your residential move or commercial relocation with help from these dependable movers conveniently located in Las Vegas. No matter what stage of life you’re in, Slater Transfer & Storage has the experience and resources you need for a smooth move. From helping families move into a home across town, to safely moving a commercial business to a new international location, to assisting with senior moving as loved ones move into a senior living facility out-of-state, we offer compassionate and reliable moving services. We’re a local Nevada business with experience in the ever-changing climate that our wonderful state has. Whether you’re moving to Nevada or leaving the state, we can help make sure your transition is as smooth as possible. Are you planning on staying in Nevada, but still need to move? We can help with that as well. 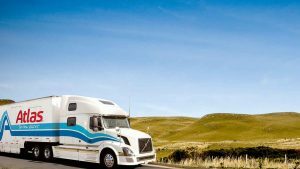 We employ the best drivers and movers across the country and the globe to make sure that your move is as easy as possible in and out of Nevada. We know that you have many details to think about when it comes to a long-distance or local move; we want to make the move itself the least of your worries. The Slater Transfer & Storage team looks forward to helping you take the stress out of long-distance or local moving. Give us a call today at (702) 399-4444, or fill out a quote request to receive an in-home estimate and begin planning your move. One of our Nevada movers will get back to you as soon as possible with a complete estimate. Large hauling fleet—no job is too big! Fill out our moving quote form at the bottom of the page! When compared with other moving companies in Nevada, we offer some of the most competitive prices without abandoning our exceptional service. Find out for yourself what a difference Slater Transfer & Storage can make when moving across states, across oceans or just across Las Vegas. Slater Transfer & Storage is an Atlas Van Lines agent with access to specialized fleets, interstate crews and other long-distance movers across the world. Receive outstanding service no matter the location. With dependable movers and comprehensive local moving services, we give you the peace of mind you want before, during and after a move. We love Nevada and know how to make you move here go well. Get the same great service you can expect from our local and long-distance movers from our licensed moving and storage crew. Visit our indoor storage facilities in Las Vegas. Do your business have a move coming up soon? Contact us to reserve a moving time for your company. One of our helpful commercial movers will get in touch with you shortly. We are proud to serve this amazing state! Every move gets the same safe, secure and professional treatment from our Nevada moving company. Contact Slater Transfer & Storage today to learn more or to request your free, on-site estimate. From there, it’s time to start packing!